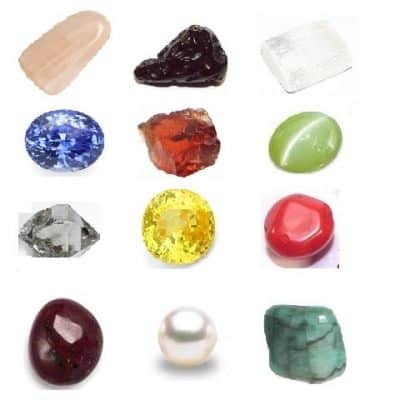 These crystals have been brought together for each sign to utilize their strengths and to help empower their user. Created specifically for boosting the “imbalances” of each sign. 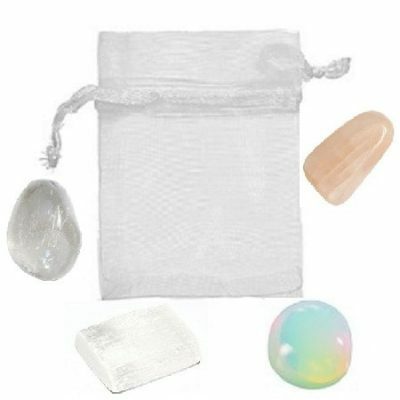 These pouches come filled with useful crystals and complete instructions on how to work with them in order to help its user feel more fulfilled and balanced. Choose your astrological sign! 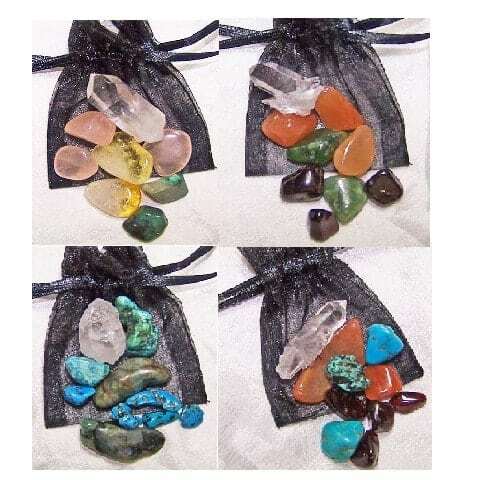 These crystals have been brought together for each sign to utilize their strengths and to help empower their user. Created specifically for boosting the “imbalances” of each sign. 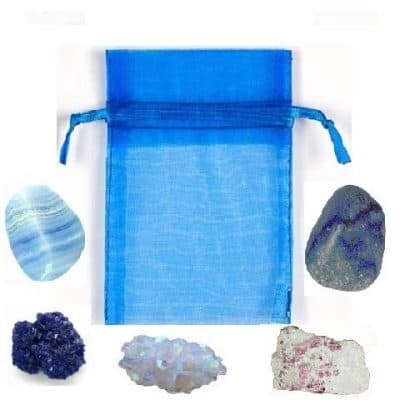 These pouches come filled with useful crystals and complete instructions on how to work with them in order to help its user feel more fulfilled and balanced. Aries (March 20 – April 20) Planet: Mars. Positive Expression: Assertive, Energetic, Courageous, Active, and Honest Jade – Reduces emotional and mental stress. Carnelian- Opens the heart, enhances attainment with inner self. Garnet – Stimulates love and compassion. Clear Quartz – Dispels negativity and activates positive energy. Taurus (April 20 – May 21) Planet: Venus. Positive Expression: Loyal, Practical, Stable, Dependable, Artistic, and Sensual. Emerald – Balance, love and tranquility, abundance. Citrine – Cheerfulness, hope, warming. 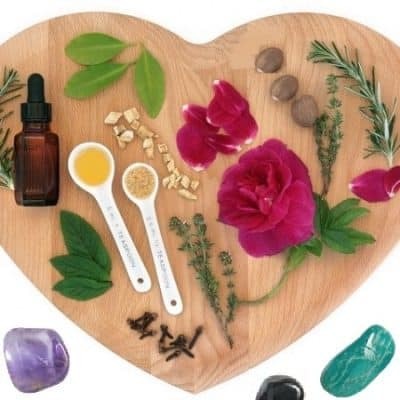 Rose Quartz – Love, creativity and self-confidence. Gemini (May 21 – June 21) Planet: Mercury. Positive Expression: Clever, Versatile, Logical, Sociable, Quick. Turquoise – Emotional balance, enhances communication. Emerald – Balance, love and tranquility. Clear Quartz – Dispels negativity, brings clarity. Cancer (June 22 – July 22) Planet: Moon. Positive Expression: Sensitive, Psychic, Sympathetic, Loyal, Warm, Receptive. Moonstone – Emotional balances, aligns emotions with higher self. Malachite – Excellent balance on all levels, reveals subconscious blocks. Carnelian – Increases inner attunement, joyous. Leo (July 22 – August 23) Planet: Sun. Positive Expression: Creative, Exciting, Fun-loving, Generous, Warm, Loving. Citrine – Cheerfulness, Hope, and understanding. Garnet – Stimulates love and compassion. Clear Quartz – Dispels negativity and balances emotions. Virgo (August 23 – September 23) Planet: Mercury. Positive Expression: Efficient, Meticulous, Selective, Organized, Modest, Health-conscious. Turquoise – Peace of mind, emotional balance. Amazonite – Brings joy and uplifting, soothes nerves. Clear Quartz – Dispels negativity, focuses energy. Libra (September 23 – October 23) Planet: Venus. Positive Expression: Harmonious, Artistic, Agreeable, Sharing. Carnelian – Opens the heart, enhances attunement with inner self. Pink Tourmaline – Enhances sensitivity and caring, dispels fears. Clear Quartz – Dispels negativity and balances emotions. Scorpio (October 23 – November 22) Planet: Pluto. Positive Expression: Intense, Powerful, Healing, Mysterious, Responsible, and Truthful. Garnet – Stimulates, love and compassion. Obsidian – Connects mind with emotions, helps clear subconscious blocks. Sagittarius (November 22 – December 21) Planet: Jupiter. Positive Expression: Direct, Generous, Optimistic, Prophetic, Ethical. Lapis – Releases tension and anxiety, enhances psychic ability. Turquoise – Emotional balance, loyalty, peace of mind. Lepidolite – Emotional/mental balance, inner joy and light. Clear Quartz – Dispels negativity and balances energy. Capricorn (December 21 – January 20) Planet: Saturn. Positive Expression: Serious, Responsible, Loyal, Successful, and Ambitious. Tourmaline – Dispels fear and negativism, increases understanding. Black Obsidian – Grounds divine energy, removes blocks. Moonstone – Emotional balancer, aligns emotions with higher self. Clear Quartz – Dispels negativity and activates and transmits positive energy. Aquarius (January 20 – February 19) Planet: Uranus. Positive Expression: Futuristic, Independent, Humanitarian, Intuitive, Inventive. Sodalite – Calms mind activity, clearer perception. Turquoise – Encourages loyalty and creative expression. Carnelian – Opens the heart, enhances kindness and warmth. Amethyst – Inspires divine love and creation, intuition. Pisces (February 19 – March 20) Planet: Neptune. Positive Expression: Psychic, Flexible, Visionary, Tender, Adaptable, Forgiving. Lepidolite – Inner expression of happiness and joy. Moonstone – Helps retain emotional balance. Clear Quartz – Dispels negativity, focuses energy.